CALGARY - Drivers in Alberta are being urged to be careful this winter after a disturbing number of collisions with snowplows already in the new year. The Alberta Road Builders and Heavy Construction Association says there have been 10 crashes since the beginning of January. That compares with 11 for all of 2014. The association says bad weather and young or inexperienced drivers could be factors in the accidents. Spokeswoman Heidi Harris-Jensen also says an influx of drivers to Alberta not used to severe winter conditions could also have something to do with it. 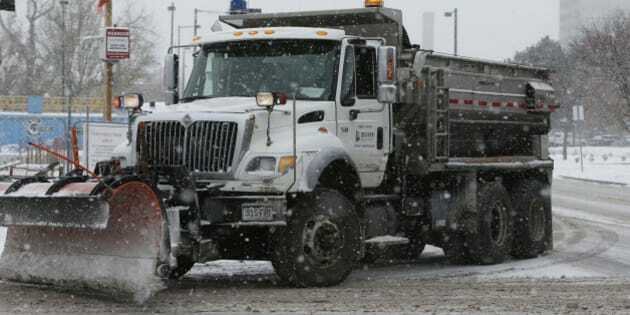 Harris-Jensen is reminding drivers that they should slow down if they see snow-clearing equipment on highways. "It is winter time and you don't always get to drive the speed limit every single day of the year ... in our climate," she said.